THE MULTI TIMBREL TRIANGLE BEATER-WHY FOUR? The simple principle for creating different timbres on percussion instruments: the lighter the striker, (drum stick, triangle beater, etc. ), the “brighter” the sound: (having more highs), and the heavier, (more massive) the beater, the “darker” the sound, (more lows are created). In addition, the softer the material of the striker, (mallet, timpani stick), the darker the sound and the harder the striker material, the brighter the sound. This certainly applies to triangle playing. The two matched stainless steel beaters function as the “workhorse” tools for most compositions. Normally only one is used, but they come in pairs for the occasional need to accurately articulate rhythms with the same timbre. The larger stainless beater is for the “big” moments. Mahler for instance, where the triangle must soar above the orchestra. Consideration of the harder/softer principle, mentioned above, is the reason for the brass tipped beater. Brass is much softer than stainless steel and therefore produces less “tick”, (ictus) at the start of the sound. For delicate passages like a whisper soft sustained roll, or added harmonic for a piccolo, it works well. Our ace machinist, Miles Giese explains how he executed Rich’s design. “The beater heads and striker ends are CNC machined from surgical grade stainless steel and then heat treated for maximum performance. Soft enough to give a rich tone and hard enough to resist dings and scratches. 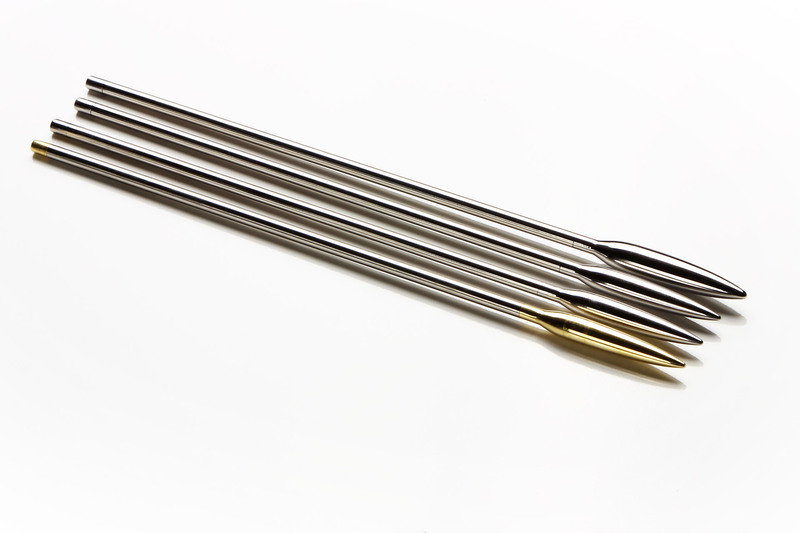 The handle section is made from precision seamless stainless steel tube (Hypo Needle Tubing). This component is specially made for us by a world class supplier to our exact specifications. With the complete set of four, you’ll broaden your timbral palate and enjoy the exploration of possibilities. 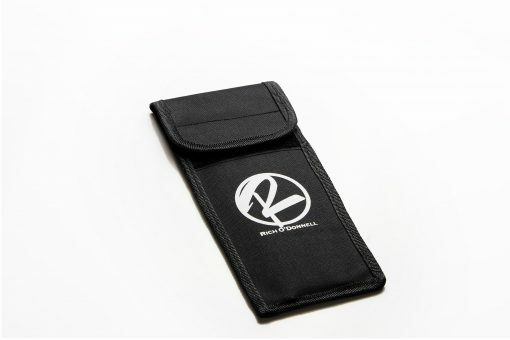 The complete set comes with a nylon triangle beater case to protect your valuable investment. Order three or more Triangle Beaters and receive an O’ Donnell Beater bag free! I bought the set of 4 at PASIC 2017. Absolutely an amazingly decision. If you decide to buy these, you’ll probably never need to buy any others.